A new tool allows you to see just how much money your state or city could be taking in with a soda tax. Whether or not taxing soda and sweetened beverages will work is up for debate. Many studies have modeled how people might behave when confronted with soda a few cents more expensive than they’re used to. But these are just models, which may not really predict human behavior. But forget the health questions. Most states need money. All states have people who drink soda. A new study from Yale’s Rudder Center for Food Policy and Obesity (PDF) shows just how much. By actually plugging in drink consumption numbers, they’ve created a calculator that allows you to see the economic benefits of soda taxes in every state and in major metropolitan areas (they also found that it would reduce consumption, for what it’s worth). A one cent tax per liter on sweetened beverages in every state in the nation would generate $11 billion in revenue this year. That’s a full 10 percent of the combined deficit of every single state. 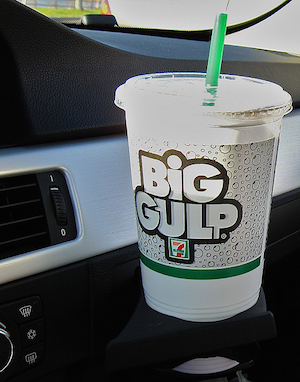 Some states with large soda drinking populations do better. New York, for instance, could add $800 million to its coffers from a soda tax. Yes, that makes only a small dent in the state’s $10 billion budget shortfall, but it’s still a dent without raising income taxes, cutting government services, and with added health benefits. Florida could add $1.3 billion–that’s more than a third of its deficit. It should be hard to say no to a revenue stream like that. There is more money to be had if you also tax diet soda (which, despite its lack of calories, also makes you fat). That would bring up the potential national soda revenue to $19 billion. And if you were willing to jack the tax up to two cents a liter, then there is $32 billion available. It’s important to note, though, that if a soda tax was successful as public health policy as well as revenue generation, then it would be more like a one-time payment. Cash generation would drop considerably as it forced people to stop drinking soda. In good economic times, a soda tax would be strictly prescriptive in its goals: stop people from drinking soda. In times when a state like California has a $25 billion deficit, it can be simply a method of raising funds that might have a public health bonus.